It's an amazing time of year but it can, however, be a little trickier to dress yourself in the warmer weather and still look nice. 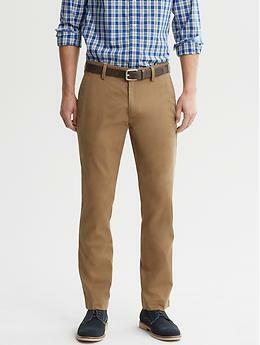 seersucker, polos, chinos (khakis) and lighter colors. 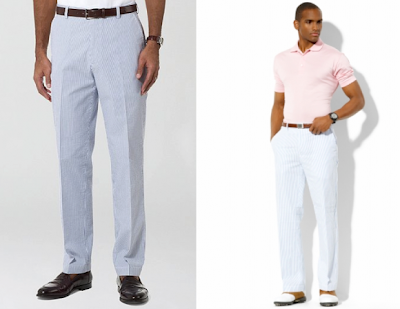 Seersucker is a very light-weight cotton fabric that will make the warmer temperatures much more manageable. Pair it with a polo and you're good to go! 2) They are also very light weight. 3) Their lighter colors a great for warmer weather. 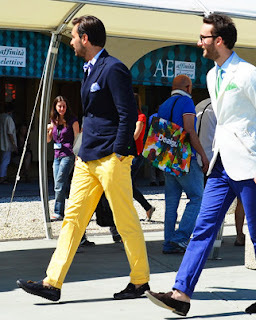 You might even branch out and get a colored chino! If polos aren't an option for work, use this ETON model as an example for a great spring/summer outfit. 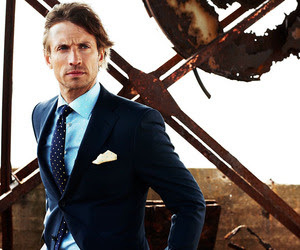 A navy suit, light colored shirt, and a pop of color with a pocket square...Money. With a huge new shipment of seersucker, khakis and polos, we are ready to help you look and feel as hot as it is outside!